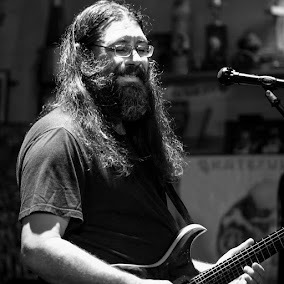 Dave Hebert (aka Dave A'Bear): Happy 70th Birthday Jerry Garcia! Happy 70th Birthday Jerry Garcia! "Thank you...for a real good time!" Jerry’s music lives on with his world-embracing love and energy. I drew a psychedelic portrait of him to honor his legacy on my artist’s blog at http://dregstudiosart.blogspot.com/2011/08/touch-of-grey-jerry-garcia-in-memoriam.html Feel free to drop in and tell me about how the Deadhead movement affecting your life and appreciation of music.